Prospects answer key planning questions which helps them picture living in the space. The interactive room planner is activated on property sites as well as social media networks, listing services and through email. 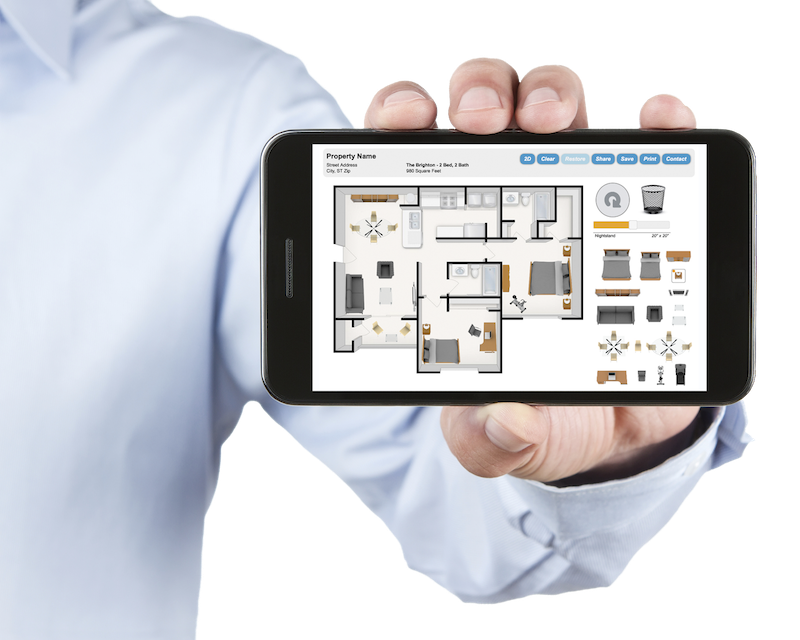 Our tool is the only stand alone room planner that works on all mobile devices. It is built on an open web platform optimized for a rapidly evolving mobile world. It's intuitive design features multi-touch gesture control. quickly grabs prospects with immersive pre-staging. can feature 2D & 3D plans in interchangeable views. is designed for the short attention span renter. is simple & easy to use, no how-to instructions needed. has many more innovative features. Clients receive new furniture updates at no extra charge. They also are given analytic usage reports with details such as average time prospects spent on the tool per visit.